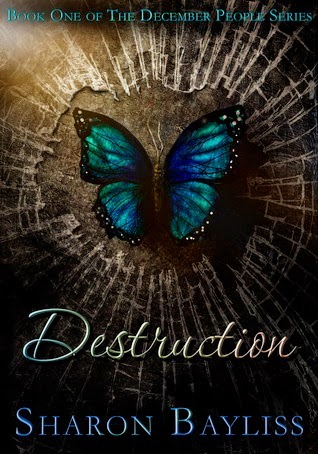 I wasn't sure what to expect when Sharon Bayliss asked me to read Destruction (Book One of the December People Series). I was delightfully surprised by this book. It's part Harry Potter for grown-ups, but a bit darker, and it has a lot more adult situations. Bayliss builds a world of magic where there is no such thing as a school for training wizards. Wizards learn only what is passed down by their parents. There are dark wizards, and light wizards and magic is no quick fix. Every spell works in ways you cannot predict. You may get your end result, but the route to it may have unexpected and disastrous consequences. David Vandergraff doesn't even know he's a wizard when he gets the call that his missing children have been found - the children produced by an affair that his wife knows nothing about - the children he's been searching for for eleven years since they disappeared. This is a riveting story and I couldn't put it down. I finished it the day I started it. It was fresh and different and held me entrhalled wanting to know what happened next. The parents are very human and flawed and believable. The sibling interaction is also believable, although I don't feel like we got into the heads of the kids as much as I would have liked, but then the main character is the father so that might explain it. Perhaps in future books in the series Bayliss plans to focus more on the kids. I look forward to getting to know them better. I have only one tiny criticism, which considering this is fiction I should probably just ignore, but I can't quite. The missing children in question were abused in their past, yet we aren't shown the emotional turmoil or reactions I would have expected. They don't act out. Sure they go to therapy. I just would have thought there would be - I don't know - more angst shown about it. And one other little issue. One of the children in this book is raped, and finds out her parents are dead within a 24 hour period, yet her reaction to both is pretty much non-existent in the book. But overall I really enjoyed this book. I couldn't put it down and I look forward to book two in the series. Want to check out Destruction for yourself? Click here to view it on Amazon. Have you read adult stories of magic? Please name names and give me some feedback on them. 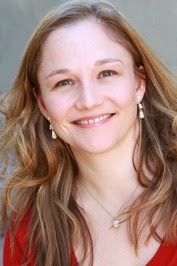 Sharon Bayliss is a native of Austin, Texas and works her day job in the field of social work. When she's not writing, she enjoys living in her "happily-ever-after" with her husband and two young sons. She can be found eating Tex-Mex on patios, wearing flip-flops, and playing in the mud (which she calls gardening). You can connect with Sharon at www.facebook.com/authorsharonbayliss and www.sharonbayliss.com. Also check out her website at www.sharonbayliss.com.